It’s the First Day of Q2 – Does Your Marketing Plan Need Some Dynamic Help? We coach our business clients to review their company’s annual marketing plan at least quarterly if not monthly. Today is the first day of Q2. Have you been focusing on the right things and hitting the key milestones on time? Are you getting the engagement and sales results you want? 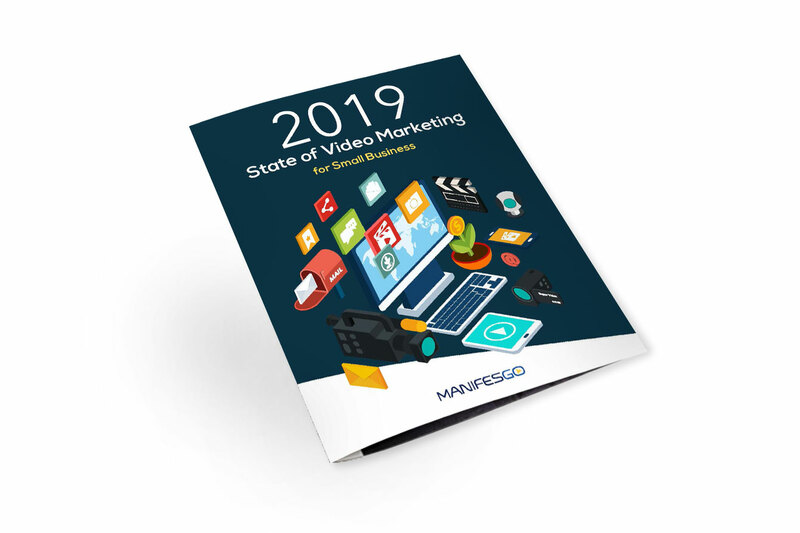 Download for FREE ManifesGo’s 2019 State of Video Marketing as it might help you refine your 2019 plan. The document covers Insights and trends that help propel connections and sales using video. Enjoy! Listen in and learn how to live your best life with Clarity, Courage and Inspired Action. Dr. Morgan Oaks believes in the Listen…Step…Listen… approach to growth and being honest with yourself to get in your flow and step into what you love. Dr. Morgan Oaks is a transformational speaker, high-performance coach, spiritual mentor, and chiropractor whose passion is empowering people to live their best life. A gifted visionary with a holistic view, Dr. Morgan inspires audiences and clients to develop and trust their intuition, integrate their life wisdom, and to cultivate the courage to live a life of inspired action. His goal is to take people from where they are, to where their body, mind, and soul are calling them to be! Visit Dr. Oak’s website to schedule your FREE high-performance strategy session today! You can also subscribe to his podcast Intuitive Wisdom for Modern Transformation or listen in to his Tedx Talk Learning the Language of Dude. Have you called the career path you were meant to do? Do you take the easy paths or are you willing to experience some pain to create outcomes that are more empowering? In this episode, Daniel Mangena discusses the importance of showing up with intention. He also talks about the idea of think about what you’re thinking and to consciously disrupt what you’re thinking to bring more purpose and joy into your daily routine and life. Daniel is a transformational life coach public speaker, author and is the creator of the “Beyond Intention” paradigm and ambassador for The Mangena Foundation. He is passionate about calling people to take deliberate action in pursuit of a joyful life of purpose. Daniel carries the message to “Dream With Your Eyes Open” around the globe as a regular contributor on Medium.com and also as the host of the “Do it with Dan” podcast series (available on most major podcast platforms). Winning an Award Can Be Satisfying and So Much Fun! The ManifesGo team is proud to share with you some exciting news. Our video work was recently recognized by Porsche USA. The video we produced for Porsche Bellevue’s unveiling of the 911 Turbo S Cabriolet Exclusive Series won 3rd place as part of their Exclusive Manufaktur Partner Event Challenge. This video highlighted two elements 1)the Exclusive Manufaktur which is a rebrand of their exclusive department and 2) unveiled the limited Porsche 911 Turbo S Cabriolet Exclusive Series in North America. The 911 Turbo S Cabriolet is the ultimate expression of what can be done thru the Exclusive Manufaktur. Porsche Bellevue is one of twenty Porsche Exclusive Manufaktur Dealers in the United States which means they are able to help clients personalize their dream Porsche right at the ordering stage, almost as if they were at the factory. We are honored to be recognized for our video work and very proud of the team we have here at ManifesGo. For this event video we wanted to portray the passion and confidence of the Porsche brand and capture the highly personalized experience that can be done thru the Exclusive Manufaktur. It was important to showcase many of the Exclusive details of 911 Turbo S Cabriolet and this award implies we captured it! ManifesGo has worked with Porsche Bellevue for several years and it’s so satisfying and fun to see them acknowledged by Porsche USA. Their launch events embody the passion and engagement Porsche followers expect. Each unveiling shows meticulous attention to detail and offers attendees a different and unique experience – just like their products, the events are one of a kind. Sizzle Reels can be used for endless mediums. They’re often short in viewing time yet provide a large amount of information for the viewer. They are perfect for advertising, marketing and SEO (Search Engine Optimization). You can easily share on social, embed in emails, blogs and use in digital campaigns. Sizzle reels are a great place to start if you want to provide your customers or clients with a great first impression. Check out this sizzle reel we did for David LeClaire and his business Seattle Uncorked. It showcases the 2018 Cabernet Classic! The Long Game | Episode 2 – 3x vs 10X Mindset and Growth Strategies with Bryan Heathman. 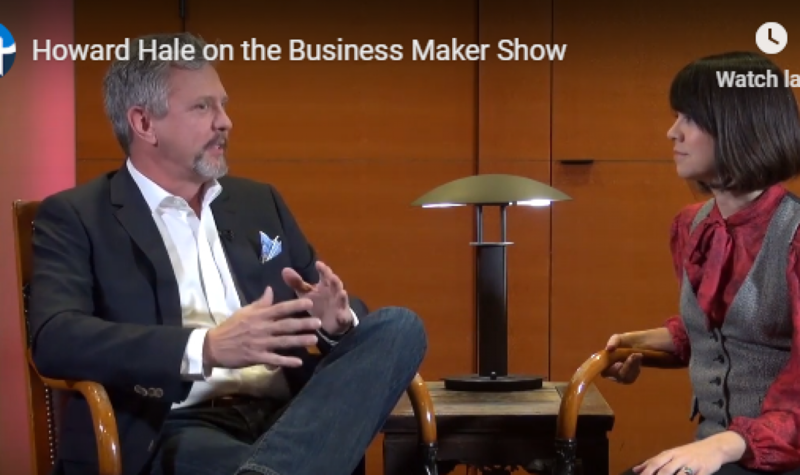 In this episode, Bryan shares his thoughts and ideas on a controversial topic – growing your business with a 1X or 3X mindset versus a 10X mindset. Bryan is the CEO of Made For Success Publishing. He is the author of Conversion Marketing, helping marketers convert website visitors into buyers. Bryan’s work has been featured in the Wall Street Journal, Inc Magazine, NBC News and Sirius XM Radio. Listen in and discover what, if any, 1X, 3X or 10X behaviors you exhibit? The Long Game | Episode 1 – How to Master Behavioral Change in the Workplace with Tony Husted. Tony is a Performer Engagement Coach, Coach Trainer, Coach Mentor, Sales Coach and Coaching Curriculum Designer. He is the Executive Director of Learning and Development of Shipley Coaching. In this episode he talks about defining your goals, developing an action plan and provides CEOs, Managers and Employees with performance and personal satisfaction techniques that help individuals stay committed to the goal(s). Listen in and hear his methods to improving the effectiveness of an organization, get momentum and results with incremental actions.